I pretty much ignore the majority of blogs and reviews about eating in Italy, as so much of it isn’t true. One common myth is tourists should try to eat like a local. To a small extent this is true, in so much as how menus are set out, suggesting pasta as a first course for example. But restaurants don’t have a problem with you if you have a pasta dish as your main course. If you order a meat dish then you will just get meat, not a full meal with potatoes, veg or salad. So if you want more than just a slab of meat, then that will have to be several separate dishes and the meal can become quite expensive. At the end of the day restaurants want your custom and to make money for their business, they don’t care if you order what they may see as a random concoction of food. I have read a few times that lunch or dinner is supposed to be between certain times of the day. If this was true restaurants and cafes wouldn’t be open and sell food at all hours of the day! Italians generally eat late, certainly later than us English folk. No one expects you to starve yourself until eight or nine o’clock at night before tucking into your main meal of the day. If you want to eat at five o’clock then do so. We saw people eating at all kinds of weird times, it’s not something to be concerned about. To drink an espresso quickly and while stood at the counter is another Italian tradition, but tourists don’t have to do it. The locals won’t turn their nose up at you if you take your time and enjoy a hot drink at a table. If you go on holiday to Italy it doesn’t mean you have to become Italian. We, as a couple have always been big fans of Italian food. I’ve been going to the same pizza place since I was a child and we love to go out for meals to Ask, Zizzi, Pizza Express and more. Nothing beats a well cooked pasta dish, a side order of garlic bread and a tasty dessert. So when we travelled Italy we thought we would get to experience some of the best pizza and pasta dishes out there. Another reason we had these expectations came from reviews online and what people had said about how great the food was. 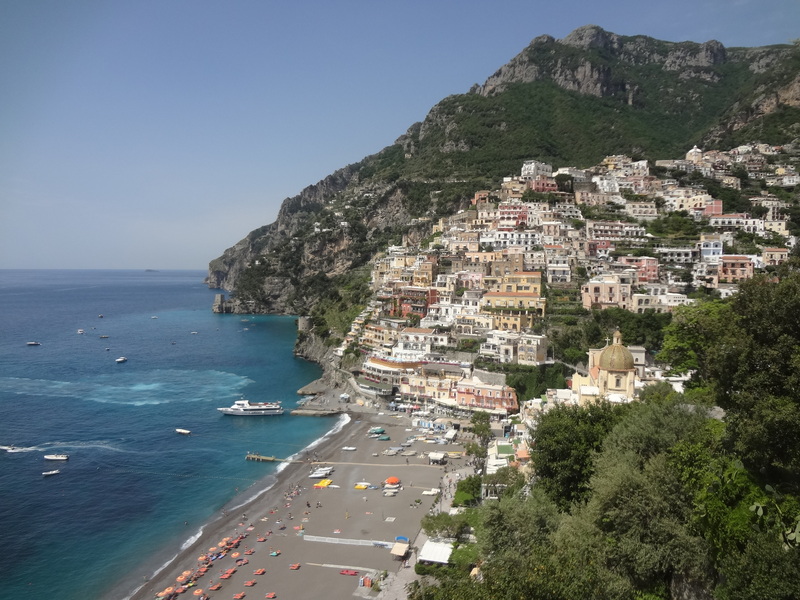 TripAdvisor is littered with great reviews of food in Positano restaurants. So many saying they picked a random restaurant and had the greatest ever pizza. But after going there ourselves we realised that these reviewers obviously had no idea what good pizza was. The main issue with the Italian food was simply the quality. More than once the pasta was overcooked, the pizza was average or over crisp and the meat was borderline unsafe to eat. Most of our hotels did a breakfast, all very similar, focusing on bread, cheese, meat and sugary pastries and cakes. There was very little fruit or cereal, which to some people is not an issue. If there is one food you do have to have while in Italy it’s a gelato. 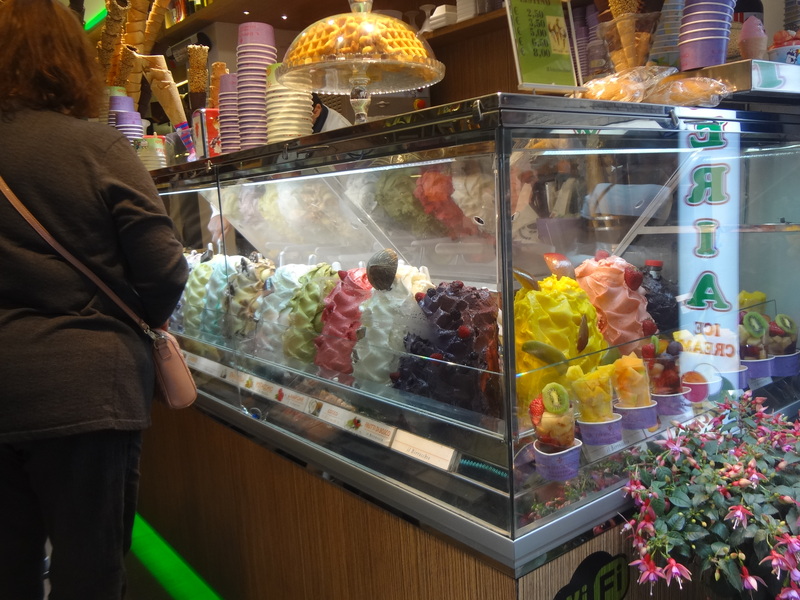 We had a scrumptious gelato from the same place several times in Rome. It was some of the best ice cream we’ve had and they were very generous with their portions too. As were most gelato shops around the country! Our issue in Milan was the lack of food rather than the quality, as mentioned in my blog ‘Milan – the dark horse of Italy’, as we struggled to find places to eat in the centre. On our second night in Rome we ate at a restaurant next to the Trevi Fountain. There was a great Italian atmosphere and I had a half decent auborgine parmigiana. But my wife had the worst chicken she has ever tasted and we didn’t know the cause of this until I happened to go inside and pay. This is where I saw rows of trays of food lined up behind a counter, like you would expect to see in a school or prison. One tray had several of the same pieces of chicken on. Goodness knows how long they had been sitting out. We noticed this set up all over the country, especially when it came to lunch dishes. In Florence there were numerous places that had ready made paninis behind counters that weren’t kept cool, even the ones with meat and cheese on. As well as this we saw several places that had a deli counter style set up but they were filled with large trays of foods including pre-cooked pasta dishes which were then openly microwaved once the customer ordered. Buying reheated pasta isn’t even something that would be contemplated in the UK, so it was hard to understand in the place pasta was invented. Italians appear to pride themselves on their food and cooking yet they seem more than happy to sell awful, cheap and poorly cooked food to the public. However, it was in Florence where we ate the best food of the entire trip and that was because we ate no Italian food. We enjoyed a varied Chinese, tasty Indian and succulent American. We thought that maybe it was seafood that everyone was raving about. But I am a vegetarian and the wife doesn’t like seafood, also Italy is known for pizza and pasta. 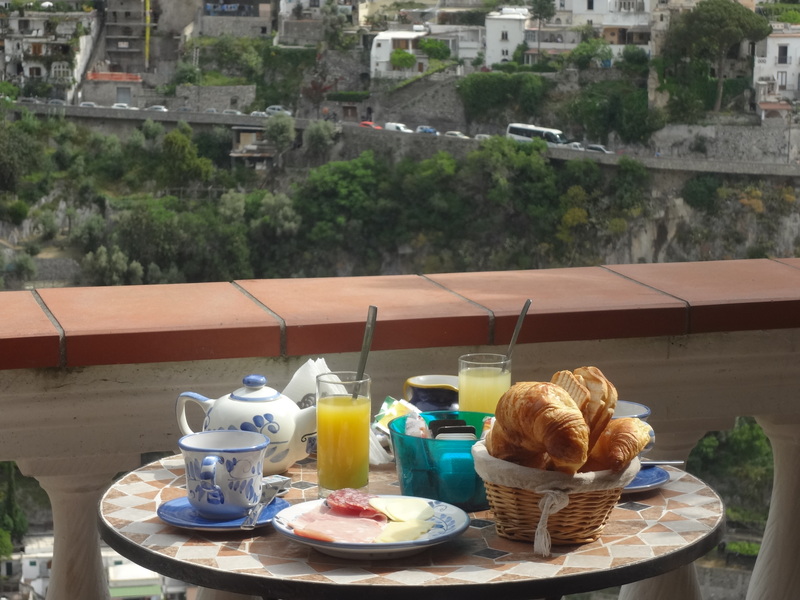 In Positano we struggled to find any variety and where we did decide to eat we found the quality was poor. As it is a small town the amount of restaurants was limited. The dishes were unimaginative too. We had read online that Italians would never put chicken in a pasta dish, and this was true. Most menus seemed to be almost duplicates of each other, with spaghetti bolognese, carbonara and lasagne always featuring and nothing unusual or different on offer. Because of this set of “rules” it meant that there was no creativity in the dishes. If you find yourself in Italy and want a really nice Italian meal, then I suggest finding the nearest airport, getting on a plane to anywhere in England and once there find an Italian restaurant such as Ask and you’ll have a lovely Italian meal.